Vitaly Nesis, CEO of Polymetal, has a spring in his step following an announcement to the market that the company’s new gold mine Kyzyl is firing on all cylinders. Production is ahead of target after coming on stream in June, earlier than forecast. Capex was below budget, and the project didn't experience the sort of teething problems that are not uncommon in a sector where nasty surprises are - it seems - never far away. "With rouble and tenge weakness, together with significant production growth, we are in a good position to be able to weather commodity price volatility," said Nesis. 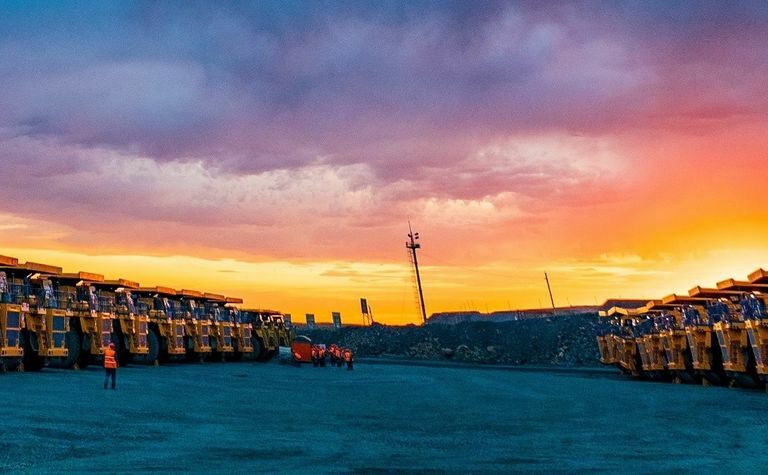 Kyzyl is the group's largest mine and will also be its lowest-cost operation. From here on, group costs will fall as the build-up of working capital needed to launch the mine will start to fall away. "In terms of profitability, 2018 should easily exceed 2017. 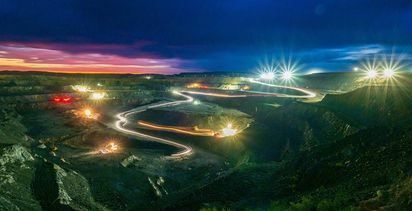 Other mines in the group will play out pretty flat, but Kyzyl will add 100,000 ounces of gold equivalent (GE) and will drive growth in production and profits - with output reaching full capacity next year at about 300,000oz," Nesis said. Polymetal owns silver and gold mines in Russia, Kazakhstan and Armenia. Kyzyl is about 750km east of Kazakh capital Astana. 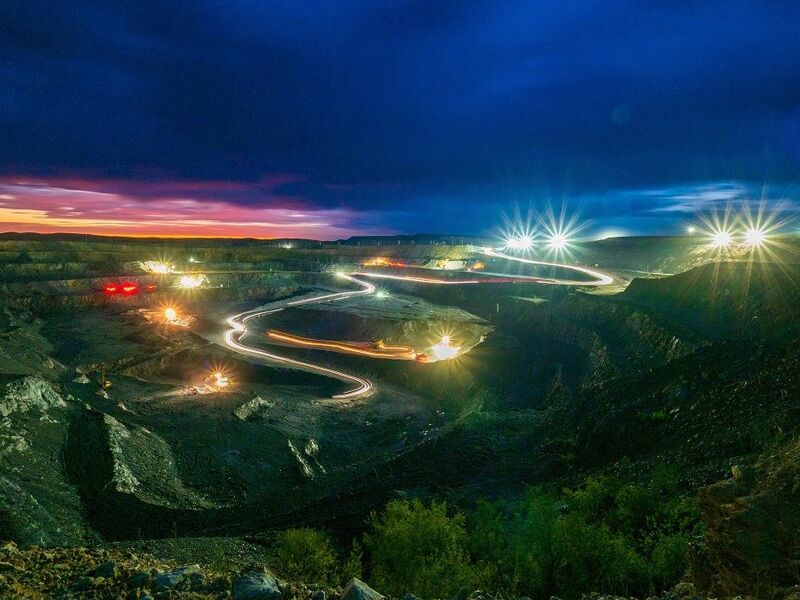 The plan is for openpit mining for at least 10 years and then a second phase at Kyzyl will involve underground mining for a further 15 years or more. According to recent data, Kyzyl ramped up to full throughput capacity of 150,000t per month in the third quarter with a recovery rate in October hitting 86%. Concentrate shipments to Amursk POX and to off-takers in China commenced and are expected to match production once the new railway spur is commissioned shortly. Kyzyl is expected to exceed its production guidance of 80,000oz of payable gold shipped for 2018. The next project to be reviewed by the board will be Nezhda, Russia's fourth largest gold deposit with reserves of 2Moz of GE with an average grade of 4g/t GE as well as additional mineral resources of 8.9Moz of GE with an average grade of 5g/t GE based on the latest resource estimate. "We are waiting for regulatory approval to consolidate 100% of our ownership at Nezhda," said Nesis. "This should drive our growth in 2021-22. We haven't published a DFS yet, but I will give you a production range of about 200,000-250,000oz gold per annum and a likely start date of 2021." Polymetal plans to present a detailed development plan for Nezhda after the completion of a feasibility study in Q4 of 2018. Subject to a positive development decision in 2018, first production is expected in 2021. Another potential source of growth flows from this October's Prognoz silver resource update with Royal Bank of Canada pointing out that "this is a solid update on an exciting 100%-owned silver project that could, in time, form another leg of growth for Polymetal. Whilst the total resource has decreased 12% from 292Moz in 2009 to today's 256Moz of silver-equivalent, silver-only grades have increased by 25% to 731g/t. Pleasingly the average vein width also increased by 15% to 2.2m, in parallel with the indicated portion of the resource lifting from 50% to 61%". In the past five years alone, Polymetal has demonstrated its ability to grow both via acquisition and organic growth with production roughly tripling to more than 1.5Moz in the past decade. But the standout feature of the company, according to Nesis, is its formidable reputation as a dividend payer. He said: "First and foremost our strategy is about paying a dividend. This is very much front and centre. Everything else - M&A, exploration, etc - are all geared to ensure that we will continue to grow our dividend as much as possible against the backdrop of commodity price volatility. "In other words, dividend per share is the key metric when board and management consider various strategic alternatives. The question is always, how can we ensure an increase in the pay-out? Since 2011, we have paid roughly US$1.2 billion in dividends. 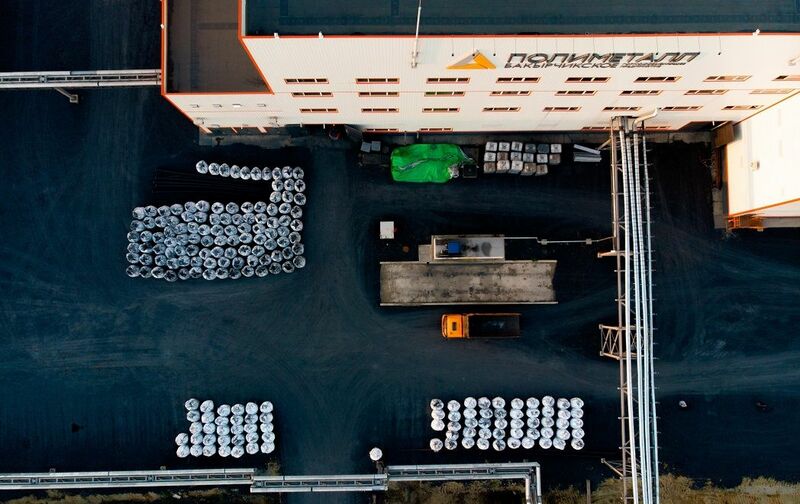 We have increased the regular dividend pay-out ratio from 30% to 50% of underlying net income. "Let me repeat, we view the continuity and predictability of the dividend, as much as it is possible in a volatile commodity price environment, as being sacrosanct for Polymetal." Another focus is to cut net debt of $1.8 billion. In part, it will come down as the working capital at Kyzyl unwinds. Another driver will be the disposal of non-core assets. On the cards is a sale of Veduga, where Polymetal recently acquired overall control, giving it stewardship of a sales process that is expected to conclude within a year. Nesis revealed the company is not currently keen on M&A. "We believe we have enough firepower within our existing portfolio. Clearly, we are keen to monitor things, but for the time being the streamlining of the current debt structure and pruning our quite diverse asset portfolio is much more important. "Put it this way, debt will go down much faster than our appetite for M&A will go up. We expect significant debt reduction this quarter - in other words by the end of this year. It will be driven primarily by the reduction in inventories and seasonal factors. Disposals will also be instrumental in reducing debt, but even more important, they will help focus management's attention on a limited number of high-quality projects with long lives. This is where our desire to shrink the operating footprint really comes from." Nesis is not really concerned about macro-events. "I am worried about our operational performance. I was worried about the ramp-up at Kyzyl, until it was done. I am worried now about exploration success, and we need to ensure that our legacy assets perform well." 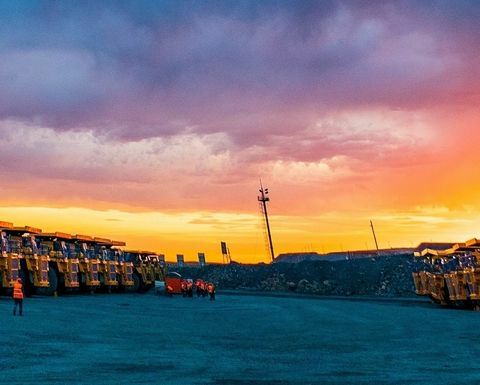 Polymetal is clearly something of a class act having recently won a place in the Dow Jones Sustainability Index, the first Russian company to do so, ranking eighth among other mining companies in the index series. 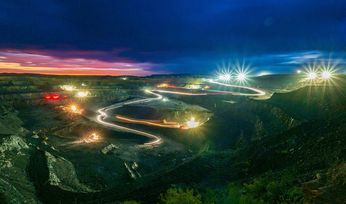 The company also improved its Sustainalytics rating, coming in first among 47 mining companies worldwide, which made it eligible for the highest available discount on the interest rate on its ING $80 million sustainability performance-linked loan. Nesis said: "Sustainability is crucial as it is the key factor in gaining a social licence to operate. If you look at the most significant value-destroying events in the global mining industry over recent years, they mostly related to the failure in maintaining the social licence to operate. Sustainability is absolutely necessary to avoid those pitfalls. Don't forget, institutional investors worldwide have been paying increasing attention to the sustainability record of all companies, with mineral extraction firms being singled out as the serial perpetrators against sustainable development. So, for these reasons we take sustainable development very seriously." In the interim, he reckoned that the next big potential share price catalyst for the company will be the announcement of the annual financial results. "The market understands how Kyzyl performs operationally. Now I think it will be important for the market to see what Kyzyl brings to the company financially." Polymetal is likely to exceed its FY2018 production guidance of 1.55Moz of GE by up to 50,000oz of GE. The company has reiterated its production guidance of 1.7Moz for 2019 and 1.8Moz for 2020. Guidance will be revised again in the event of non-core asset disposals. "Given the recent weakness of the rouble and tenge against the US dollar, it is likely that the company will outperform its cost guidance of $650-700/GE oz for total cash costs and $875-925/GE oz for all-in sustaining cash costs," it said in a recent statement. The London and Moscow-listed company expects to generate the bulk of free cash flow in 2018 in the fourth quarter on the back of de-stockpiling at Kyzyl and Mayskoye. Consequently, a meaningful reduction in net debt is expected to be recorded in the fourth quarter. Last year, the company produced free cash flow of $143 million and adjusted EBITDA of $745 million. Production came in at 1.43Moz GE. Kyzyl, by the way, has JORC reserves of 7.3Moz of GE at 7.7g/t average grade and additional resources of 3.1Moz GE at 6.8g/t average grade. Project IRR (inclusive of the $697 million acquisition cost) is currently estimated at 20% (after tax) with the current base-case $1.5 billion NPV at a 10% discount rate assuming gold price of US$ 1,200/oz. But, even with a gold price of just $1,100/oz, the after-tax IRR is estimated at 16%. Impressive enough for a company that, by any measure, looks to be going places.